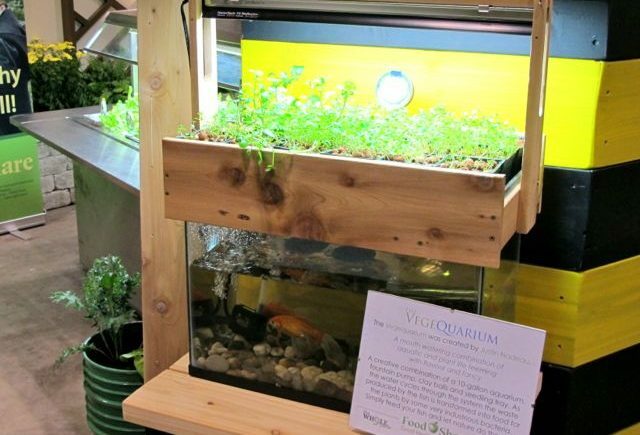 Imagine a self-sustaining seed starter that turns the fish poo-ey water from your aquarium into both hydration and nutrition. Not only is that just plain clever, it’s one of my favourite gems from this year’s Canada Blooms – but if you blink, you might miss it. 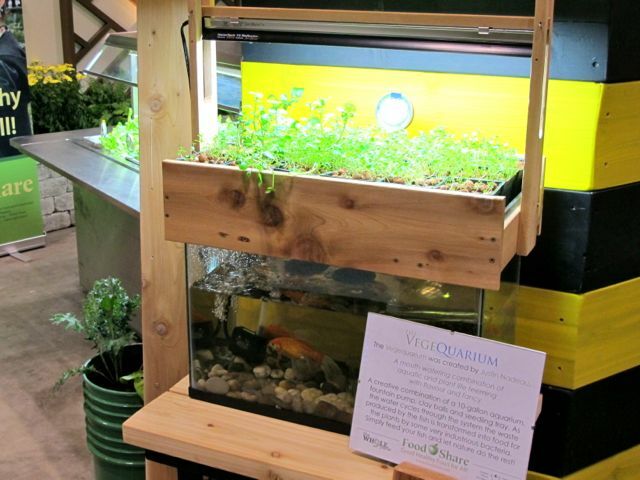 Invented by FoodShare‘s “resident inventionator” Justin Nadeau, it’s a cool idea that Sarah and I both wanted to have. Now, thanks to the miracle of Google, here are Justin’s Eco-Action Team-winning instructions for making it. [Update: in 2016, this link is no longer active] Cost? Less than a hundred bucks – or considerably less, if you’re as good as Justin is at scrounging. Here fishy, fishy, fishy! Cool idea. I have all the components on hand so perhaps I'll try it. I've all seen this idea on a large scale for a home swimming pond where the plants filter the pool water, which would make me the fish. lol. I like it! Melissa, you might be the fish, but I doubt that you, er, contribute to the nutrition. Great idea! Almost makes me want to get an aquarium. 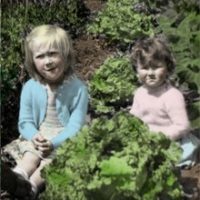 Hi there – found you while looking for other Toronto gardening blogs. Really enjoying yours so far! What the heck is that silvery plant?